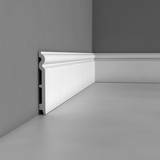 Simple and ornate decorative flexible baseboards to match flexible crown moldings and chair rails and enhance the entire room. Flex Panel Moulding Height: 1-5/8 in. 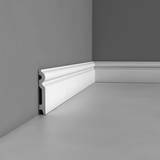 Flex Panel Moulding Minimum Radius Arch Curvature: 2-3/4 ft.
Flex Panel Moulding Height: 2 in. Flex Panel Moulding Projection: 1/2 in. 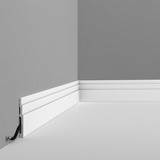 Flex Panel Moulding Minimum Radius Curvature: 1-1/8 ft.
Flex Panel Moulding Height: 2-1/2 in. 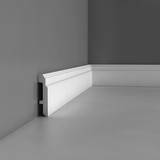 Flex Panel Moulding Minimum Radius Arch Curvature: 8-1/2 ft.
Flex Baseboard Height: 2-3/4 in. 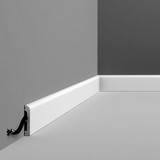 Flex Baseboard Projection: 3/8 in. Flex Baseboard Minimum Radius Curvature: 1-1/4 ft.
Flex Panel Moulding Height: 3 in. 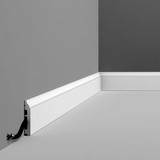 Flex Panel Moulding Minimum Radius Curvature: 1-3/8 ft.
Flex Baseboard Height: 3-3/8 in. 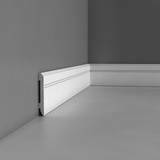 Flex Baseboard Projection: 1/2 in. 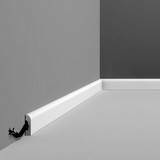 Flex Baseboard Projection: 5/8 in. 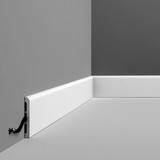 Flex Baseboard Minimum Radius Curvature: 1-1/2 ft.
Flex Panel Moulding Height: 3-7/8 in. 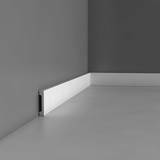 Flex Baseboard Height: 4-3/8 in. 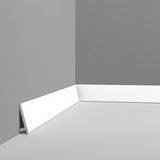 Flex Baseboard Projection: 1 in. 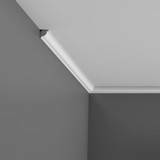 Flex Crown Molding Height: 3-1/8 in. 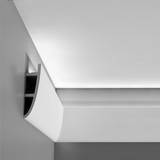 Flex Crown Molding Face: 3-3/4 in. Flex Crown Molding Height: 7-1/8 in. 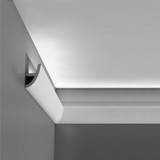 Flex Crown Molding Face: 7-3/8 in. 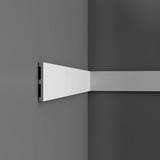 Flex Panel Moulding Height: 4-3/8 in. 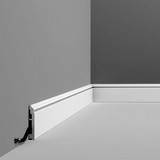 Flex Panel Moulding Minimum Radius Curvature: 1-1/2 ft.
Flex Baseboard Height: 4-3/4 in. 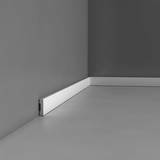 Flex Baseboard Height: 5-3/8 in.